Frank Juelich, founder of Prem Sewa Shikshan Sangh, was born in Aachan, Germany. After he graduated from Grade 8 he apprenticed in carpentry for 3 years. The following year he set out by bicycle for Pakistan, arriving 6 months later. He further journeyed across Canada and the United States where, at age 30, he began studies in theology and linguistics. In January of 1976 Frank returned to India and found himself with several poor children with whom he and his co-workers took under their care. Today some 850-900 children are given the opportunity to live and study in schools and institutions that would otherwise be closed to them. Children who may be physically challenged are given the possibility to develop into self-reliant, self-supporting and self-respecting citizens. The value and dignity of labour is promoted and each child is appreciated for their intellectual gifts and talents. 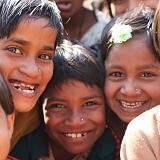 Prem Sewa Shikshan Sangh, meaning Ministry of Love Education Society, was established in 1981. 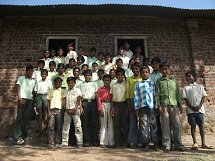 A year later 18 acres of land were purchased in Nagpur to develop the first home for poor children. In 1987 the primary school was started and has now developed into a junior college. In 1992 the girls' home in Manjari was established and cares for about 500 girls from nearby villages. Yohan Raut is now president of the Society and Bapu Desai, the administrator and director. Both grew up in the Nagpur home. Students at Prem Sewa in Nagpur India put their personal touch to Sunday Line book marks to be distributed at Missions Fest Vancouver in January 2017. Prem Sewa, or the Ministry of Love Education Society was founded by Frank Juelich. 450 boys and 600 girls, coming from impoverished homes, now receive life-changing education and a caring home and environment. I always thought that Isaiah, in Isaiah 40:31, had it wrong: "They will soar on wings like eagles; they will run and not grow weary, they will walk and not faint." I wanted to tell him, Isaiah you got that wrong; you should start with the walking, then go to the running and finally end up soaring - from the easier to the difficult. If my life has taught me anything, walking is the hardest of these three - the steady walk when people mock you, asking, "Where is your God? Where are the results?" But you keep on walking because you see things that others seemingly don't. Prem Sewa was not built by "soaring", not even by running but by steady walking - often in fear, in discouragement, sometimes doubting, often in tremendous needs - yet we kept on doing the hardest part of Isaiah's "trinity"- walking. Sunday Line is proud to partner with Ministry of Love Education Society as they seek to bring hope and opportunity to some of the very poorest children. Your gift to help in this important work is truly appreciated.